Tinder’s premium service has been controversial since its debut in 2015. The company started off on the wrong foot by setting higher prices for users who were older than 30, and a sliding scale to younger users. Now, a California appeals court has found the company’s pricing model to be discriminatory to older users. Judges with the California 2nd District Court of Appeals reversed the decision made by a previous judge, and has ordered Tinder to stop charging older customers more for its premium service, according to reports. Tinder was charging users 30 and older $19.99 to use the premium service as opposed to those in their twenties, who were only charged $14.99 or $9.99. For the extra funds, users got to “superlike” their favorite matches, swipe as much as they wanted, change their decision on a match even after they swiped left, and avoid those pesky ads that pop up in the free version. 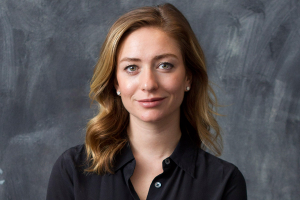 Whitney Wolfe Herd, founder and CEO of female-friendly dating app Bumble, was just named to Forbes’ “30 Under 30” list, and is featured on its December 2017 cover. This is no small feat – her dating app has amassed a large following with 70% year-on-year growth, according to the article, and has 22 million registered users. In comparison Tinder has 46 million registered users and last year saw growth at 10%. The company is also being eyed by Match Group, owner of dating app rival Tinder, and is said to be in talks for over a billion dollars as an asking price. Herd turned down the company’s original offer of $450 million, according to recent reports. 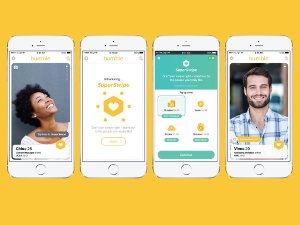 Dating apps are not only looking to differentiate themselves in a crowded market, they are trying to find ways to monetize without alienating customers. And now, female-friendly app Bumble is taking a leaf out of Tinder’s playbook and adding a new feature called SuperSwipe, similar to Tinder’s Super Like. SuperSwipe allows users to call attention to someone they are really interested in, by clicking a heart on the chosen profile before swiping right and hoping for a match. The benefit is that your SuperSwipe can see that you’re interested before he swipes left or right, which hopefully increases your chances of matching with him. Super Like on Tinder is very similar; your potential match can see that you’ve chosen to Super Like him in advance. Super Like is also only available via the app’s premium service, and it seems Bumble is following suit. Are you sick of all the messaging and scheduling you do on your preferred dating app? Do you sometimes wish someone could just…do it for you? 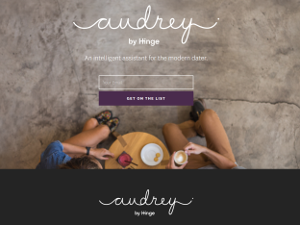 Hinge thinks so, and currently the company is beta-testing a new app called Audrey, which automates the online dating process for you. If you find someone attractive on the app, Audrey will reach out, make an introduction, and if the feeling is mutual, will schedule a date for you to meet. Dating app giant Tinder is trying to maintain its huge lead in the online dating market, and is also looking for new ways to monetize. In late 2016 the company launched Tinder Boost, a new paid feature to help users “skip the line” and be more prominently featured to other users. This comes after the success of the launch of its premium paid service, Tinder Plus. Tinder Boost provides a unique advantage to its users. The new feature places its users at the top of searches for 30 minutes, giving them up to 10 times more profile views than the standard method. 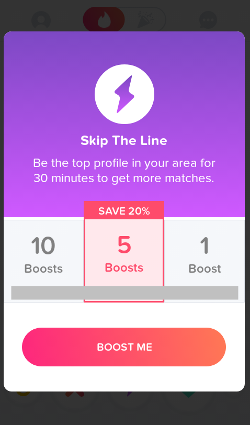 While Tinder Boost is activated, other relevant, potential matches within the area will see your profile before anyone else’s. This could make a huge difference in your chances of connecting, since competing among Tinder’s 50 million users can be quite challenging. It’s easy to be overlooked, especially if users are mindlessly swiping. Tinder Boost also offers a built-in timer that lets people see how many minutes are remaining, so you can take full advantage of the thirty minutes you get.